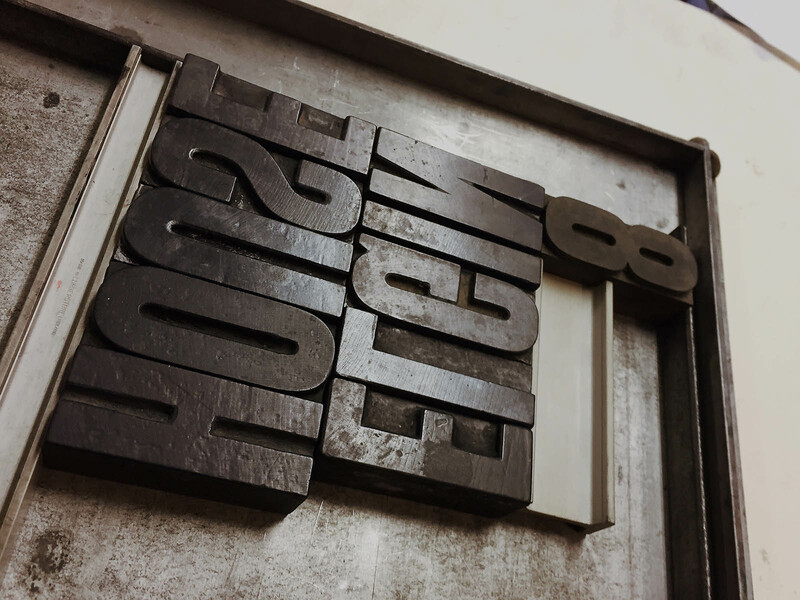 I recently spent a Saturday at the typographic toy shop that is New North Press in Hoxton. 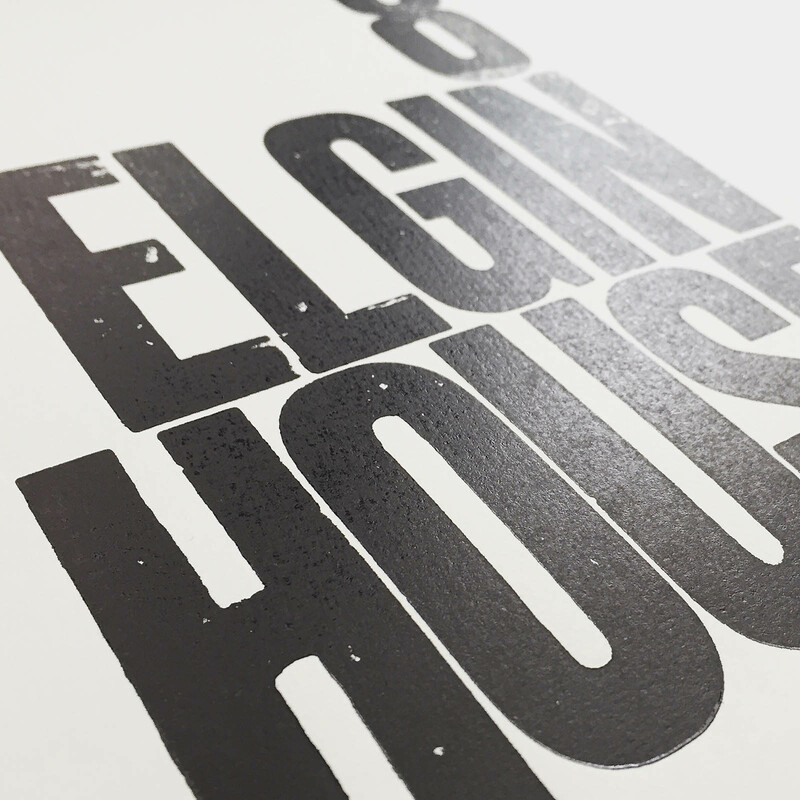 My sisters were kind enough to book me a place on their ‘Introduction to Letterpress’ course. Best Christmas Present Ever! 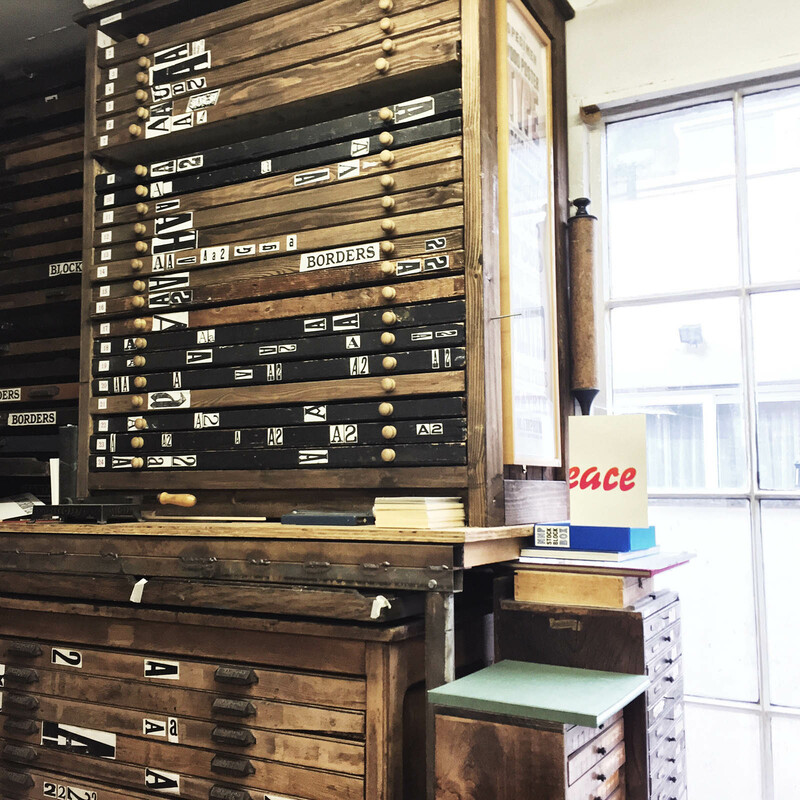 New North Press is self described ‘Aladdin’s cave’ of traditional letterpress equipment, set up in 1986 by Graham Bignell. Graham and studio partner Beatrice led our class and throughout the day they shared a wealth of stories about the projects they had worked on. I joined an enthusiastic group from a very broad range of intimidating professional backgrounds. We had a QC, an architect, a programmer, a copywriter and people working in fashion and publishing. You clearly don’t just have to be a tedious designer like me to enjoy type (but you do have to be very middle-class, apparently). We started the morning creating a group piece; Typographic Masterpiece No.23 to be precise. Our brief was to illustrate a current theme using letters. We of course chose Trump. 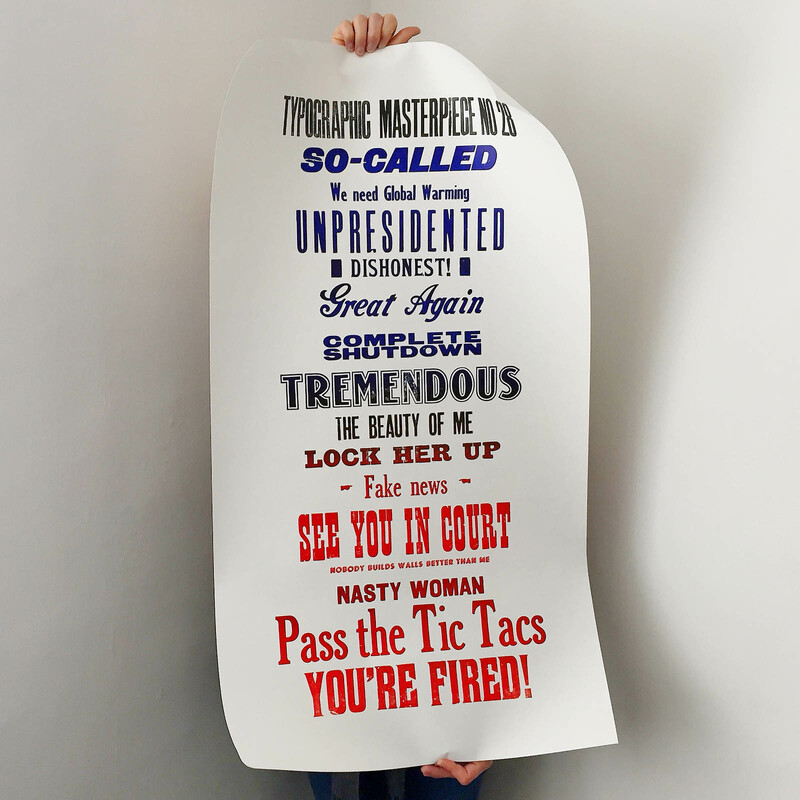 We each selected snippets of his notorious speeches to typeset, ready to print on a large poster. 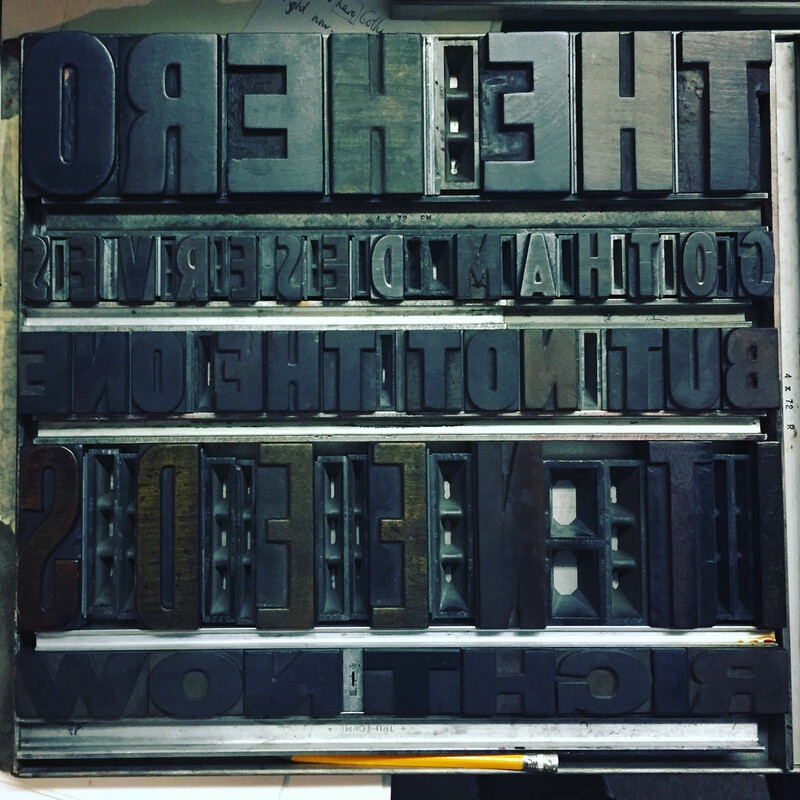 New North Press have over 700 wood and metal fonts (most of which are many decades old) so there was plenty of choice when it came to type. 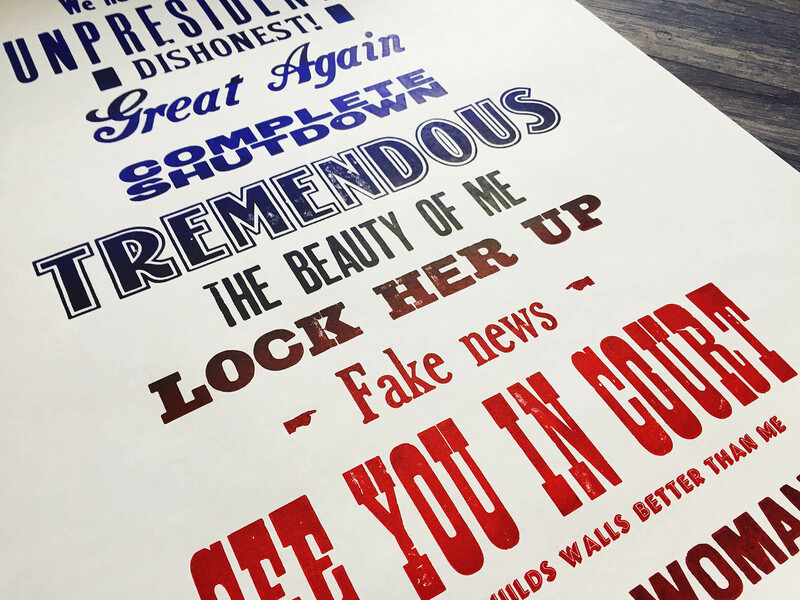 After lunch, we set to work on our own letterpress layouts. Setting type is a long process. On more than one occasion I got halfway through a sentence only to realise that the font that I’d selected didn’t have all of the letters I needed! Kerning is particularly tricky to get right. It requires numerous test prints followed by small adjustments of the narrow metal spacer blocks. I could have done with a little extra time but I ended the day with a type lock-up that I was pretty happy with. 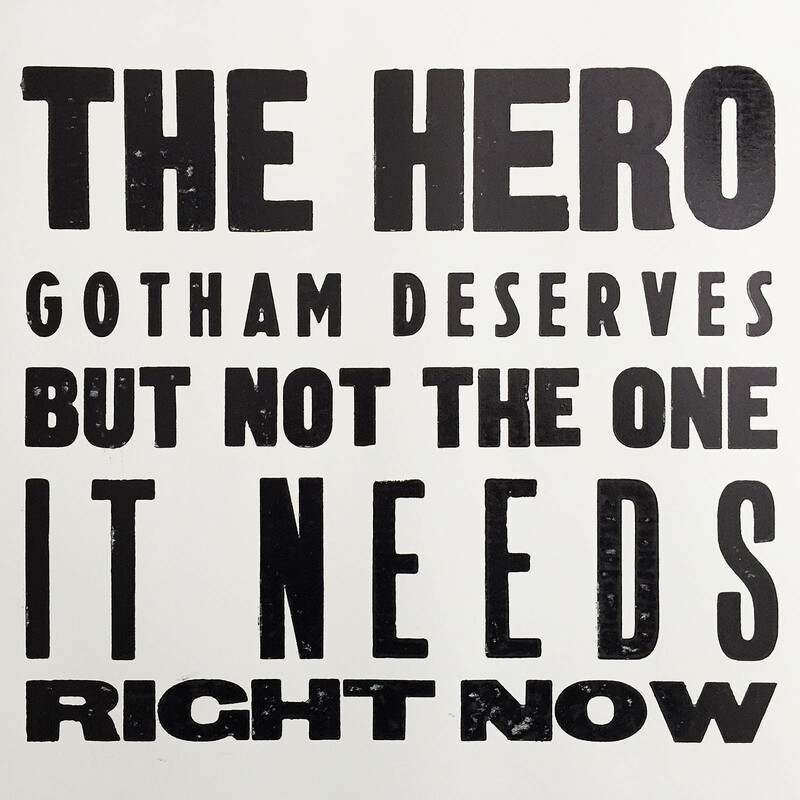 I chose one of my favourite lines from the movie ‘The Dark Knight’. I liken my experience with letterpress to playing with Lego. With a number of pre-made components you can construct near limitless creative compositions. I also experienced the same reluctant feeling I had playing with plastic bricks as a child when the time came to deconstruct my masterpiece and return all of the bits to their drawers. Those particular letters and metal blocks will likely never sit together in the same positions again. 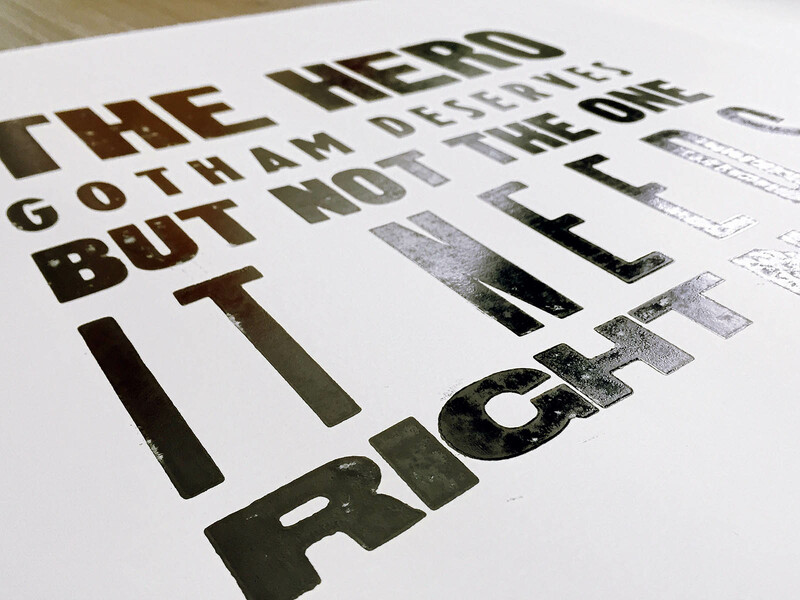 I’ve always enjoyed design the most when working within tight constraints and this is what I loved about letterpress. It’s back-to-basics, focussing on typography and layout, taking into account lots of practical and technical considerations. 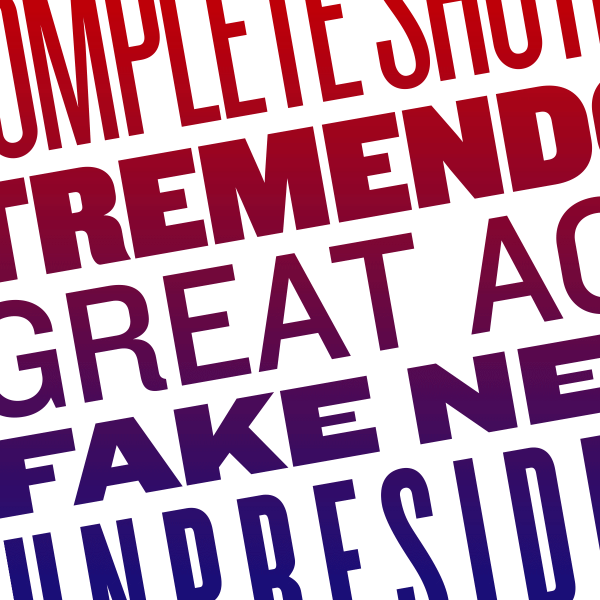 There’s no trickery, no PhotoShop effects, just letters and numbers and ink. I can’t wait to get my hands dirty again.